Cats are one of the most fascinating creatures in the world that have been surrounded by myths and superstitions ever since they were first domesticated thousands of years ago. Throughout history, felines were both worshipped as godlike beings and condemned as heralds of doom. Even though humans have changed their ways with the rise of science and technology, it seems that many people still believe in some of the most widespread modern-day myths about cats. Some cultures and societies persist in the belief that black cats are omens of bad luck, especially if they cross your path. If you happen to have such an encounter with a jet black cat, make no mistake, you are doomed – or so some folks would claim. 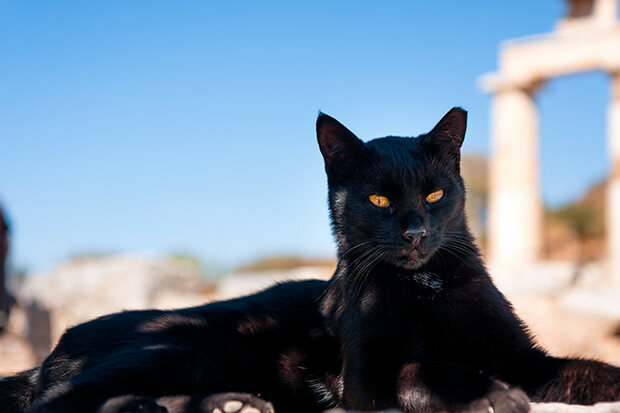 The superstition probably has its roots in ancient Egypt, where cats were considered sacred animals. When you combine their former godlike status with their ability to move stealthily, not to mention their association with demons and witches, it doesn’t really strike us as shocking that many Christian cultures would condemn black cats as prophets of doom. Unfortunately, the irrational fear of black cats has minimized their chances of being adopted and finding loving homes, despite the fact that black felines are no different than other cats – apart from the black fur, which is not particularly scary in itself.